NEW! 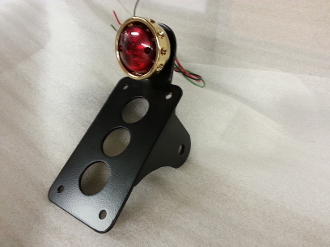 Vintage Drilled Brass tail light and vertical license plate bracket. Not sure which bracket to get? Just us we are here to help!